WIN AN ULTIMATE KIDS GET ACTIVE BUNDLE WORTH OVER £70 INCLUDING A FOOTBALL AND SLIME! To enter our Summer Impulse Kids Get Active drawing competition you simply need to share your child’s drawing on social media tagging us and using #ImpulseActiveKids. By doing this you are entering yourself into our prize draw, please read on for the full terms and conditions below. This prize draw is being run in both Adur, West Sussex and Thurrock, Essex. There will be one main prize winner for both Sussex and Essex, and three runners up per region. The first prize winner will receive an Adidas FIFA World Cup football worth £12.95 and two pots of Slime worth a minimum of £3.00, a swim set worth £22.50 including a hat, googles and diving sticks and a bundle of Impulse Leisure vouchers bringing your total prize value to at least £70. Each voucher you are issued will have its own terms and conditions for use, so do check these when you receive them. This prize draw is open to people aged 18 and over, who are residents of the UK. Parents are entering the draw on behalf of their child and are the named entrant. Employees or agencies of Impulse Leisure or its associated companies may not enter this prize draw. The prize draw opens 12.01 23rd July 2018. All entries must be received by 23:59 BST on 2nd September 2018. Entries received outside this time period will not be considered. Impulse Leisure accepts no responsibility for entries that are lost, delayed, misdirected or incomplete or cannot be delivered or entered for any technical or other reason. One winner per region (Adur and Thurrock) will be chosen from a random draw of entries received in accordance with these Terms and Conditions. The draw will be performed by a random process and will be announced via Facebook on Monday 4th September 2018 @ImpulseThurrock and @ImpulseAdur. The winner will be the parent of the child whose drawing has been shared. Impulse Leisure accepts no responsibility for any costs associated with the prize which is not specifically included in the prize. The winner of the prize draw will be notified by Facebook and must provide a postal address to claim their prize if they cannot collect it from a local Centre. If a winner does not respond to Impulse Leisure within 14 days of being notified by Impulse Leisure, then the winner's prize will be forfeited and Impulse Leisure shall be entitled to select another winner in accordance with the process described above (and that winner will have to respond to notification of their win within 14 days or else they will also forfeit their prize). If a winner rejects their prize or the entry is invalid or in breach of these Terms and Conditions the winner's prize will be forfeited and Impulse Leisure shall be entitled to select another winner. The prize will be sent to the winner by Impulse Leisure by post, unless the winner can collect from Centre. Please allow 28 days for delivery of the prize. The prize is subject to availability. Impulse Leisure retains the right to substitute the prize with another prize of similar value in the event that the original prize offered is not available. No purchase necessary. The prize is non-exchangeable, non-transferable, and cannot be redeemed for cash or other prizes. The winner may be required to take part in promotional activity related to the prize draw and the winner shall participate in such activity on Impulse Leisure's reasonable request. The winner consents to the use by Impulse Leisure and its related companies, both before and after the closing date of the Summer Kids Get Active Drawing competition for an limited time, of the winner's image, photograph and name for publicity purposes (in any medium, including still photographs and films, and on the internet, including any websites hosted by Impulse Leisure and its related companies) and in advertising, marketing or promotional material without additional compensation or prior notice and, in entering the Summer Kids Get Active Drawing competition, all entrants consent to the same. Copyright of the drawing shared remains with the person who created it. Impulse Leisure accepts no responsibility for any damage, loss, liabilities, injury or disappointment incurred or suffered by you as a result of entering the prize draw or accepting the prize/ offer/ voucher. Impulse Leisure further disclaims liability for any injury or damage to your or any other person's computer relating to or resulting from participation in or downloading any materials in connection with the Summer Kids Get Active drawing competition. Nothing in these Terms and Conditions shall exclude the liability of Impulse Leisure for death, personal injury, fraud or fraudulent misrepresentation as a result of its negligence. Impulse Leisure reserves the right at any time and from time to time to modify or discontinue, temporarily or permanently, this prize draw with or without prior notice due to reasons outside its control (including, without limitation, in the case of anticipated, suspected or actual fraud). The decision of Impulse Leisure in all matters under its control is final and binding and no correspondence will be entered into. This prize draw will be governed by English law and entrants to the Prize Draw submit to the exclusive jurisdiction of the English courts. Promoter: Impulse Leisure, Blackshots Lane, Grays, Essex RM16 2JU. To enter our Summer Colouring Competition you simply need to share your child's colouring of Archie (on our Kids activity sheets) with our Cafe Staff or Reception for display in our Centres. By doing this you are entering yourself into our prize draw to win a #KidsGetActive Impulse Kids Water Bottle - with a prize given out each week at every participating Impulse Leisure Centre during the school Summer holidays. Please see below for the full terms and conditions and dates below. This prize draw is being run in Adur, West Sussex and Thurrock. Each participating centre will select a winner at random each week during the school summer holidays to win an Impulse Leisure Kids Water Bottle. (Each centre will have 6 winners in total). One winner per participating Centre will be chosen from a random draw of entries received in accordance with these Terms and Conditions every week. The draw will be performed by a random process and will be announced via Facebook each week @ImpulseThurrock and @ImpulseAdur. The winner will be the parent of the child whose colouring has been picked. The winner of the prize draw will be notified by telephone and must provide a postal address to claim their prize if they cannot collect it from a local Centre. If a winner does not respond to Impulse Leisure within 14 days of being notified by Impulse Leisure, then the winner's prize will be forfeited and Impulse Leisure shall be entitled to select another winner in accordance with the process described above (and that winner will have to respond to notification of their win within 14 days or else they will also forfeit their prize). If a winner rejects their prize or the entry is invalid or in breach of these Terms and Conditions, the winner's prize will be forfeited and Impulse Leisure shall be entitled to select another winner. The winner may be required to take part in promotional activity related to the prize draw and the winner shall participate in such activity on Impulse Leisure's reasonable request. The winner consents to the use by Impulse Leisure and its related companies, both before and after the closing date of the Kids Summer Colouring competition for an limited time, of the winner's image, photograph and name for publicity purposes (in any medium, including still photographs and films, and on the internet, including any websites hosted by Impulse Leisure and its related companies) and in advertising, marketing or promotional material without additional compensation or prior notice and, in entering the Summer Kids Colouring competition, all entrants consent to the same. Copyright remains with the person who created the artwork. Impulse Leisure accepts no responsibility for any damage, loss, liabilities, injury or disappointment incurred or suffered by you as a result of entering the prize draw or accepting the prize/ offer/ voucher. Impulse Leisure further disclaims liability for any injury or damage to your or any other person's computer relating to or resulting from participation in or downloading any materials in connection with the Summer Kids Colouring competition. Nothing in these Terms and Conditions shall exclude the liability of Impulse Leisure for death, personal injury, fraud or fraudulent misrepresentation as a result of its negligence. Wear your style, play your way! Our PGA Golf Professionals provide a wide range of lessons to suit all abilities from beginners to the more accomplished and expert golfer. During school holidays, we offer a variety of golf lessons and activities at Belhus Park Golf and Country Club. Fun gymnastics classes which increase confidence and encourage a healthy lifestyle for children! Stars offer recreational gymnastics classes for pre-school children (2+ years) through to teens & adults, as well as selected squad gymnasts. Netball sessions run at Chanctonbury on Thursdays evenings (term time only), which are supported by Horsham District Council & Sussex Netball and run by Level 1 & 2 England Netball Coaches. 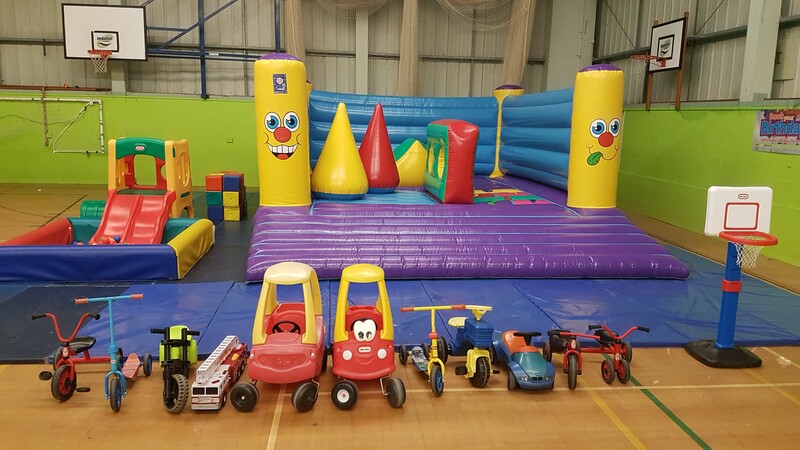 Mighty Mites is a fitness drop-in session for children aged 0-5 years, incorporating bouncy castle, bikes, trikes and soft activities. Main Hall Heating is available throughout the colder months of the year and we also offer free parking, cafe and bar, baby change, toilets and a disabled changing room. Our prices for our sessions does not have a hourly time limit; you can stay as long as you like. 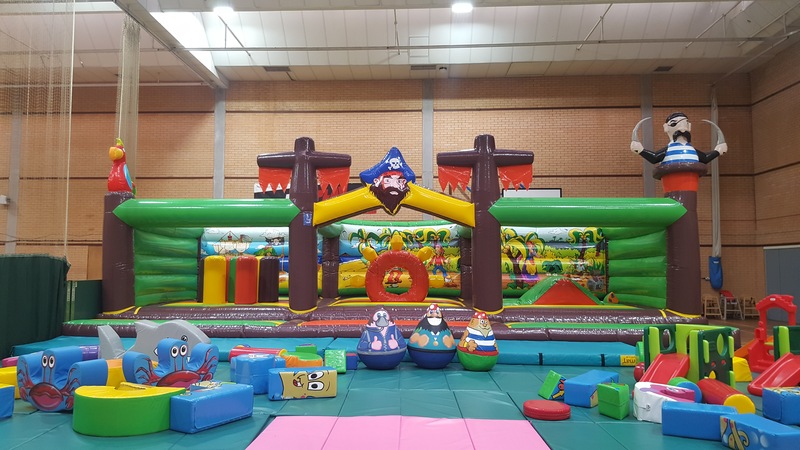 Please note on Monday 15th April Mighty Mites at Lancing Manor will be cancelled due to a large event taking place in the main hall. We apologise for any inconvenience caused. With the exception of baby food, Customers are not allowed to bring their own food and drink. Food and drink purchased on the premisis may be consumed however is not permitted on the Bouncy Castle. Please remember to enjoy yourselves in a safe manner. Southwick offers various activities for children and young adults with disabilities and additional needs. Our activities are fun yet educational, with fun and games to keep every child engaged. Our dedicated staff will ensure your child enjoys the activities we have on offer and that their needs are met. Siblings are also welcome. Click here for more information about our Short Breaks at Southwick.